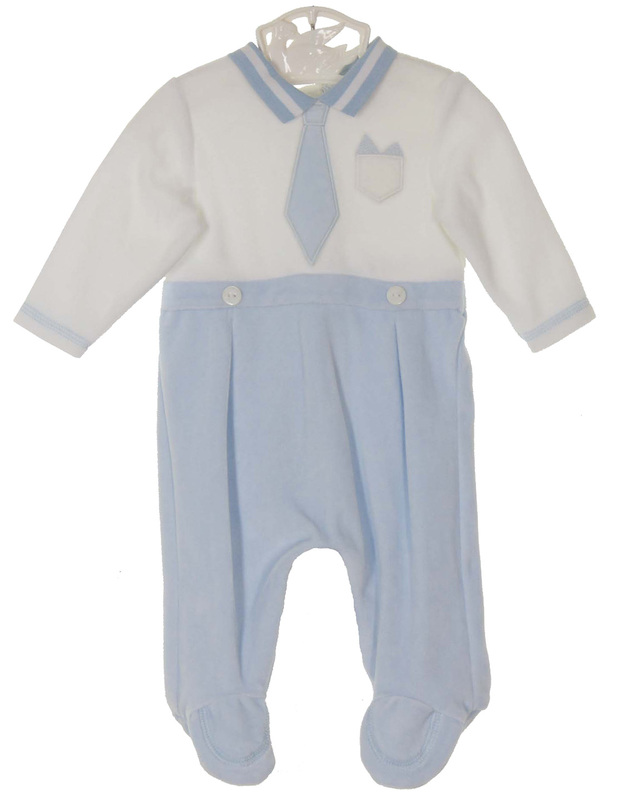 This lovely blue soft cotton blend velour outfit is made by Sarah Louise, a top British designer of classic baby garments. 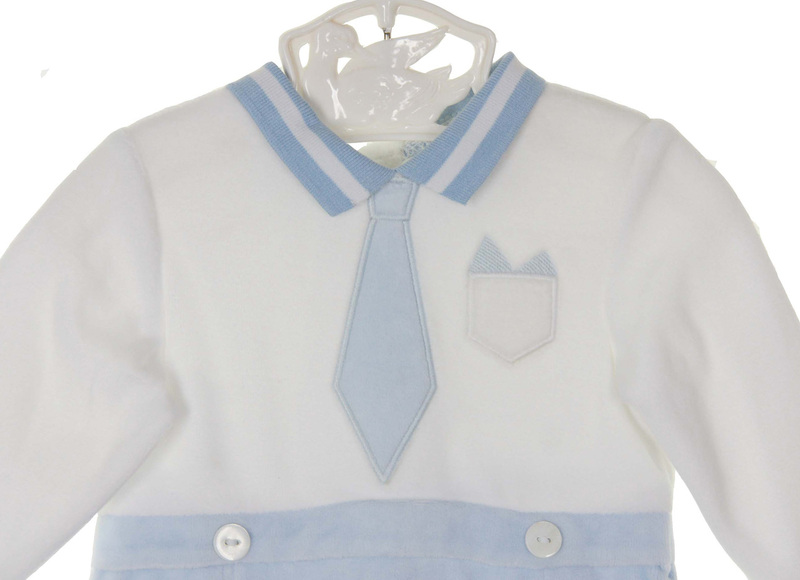 It features a white top with an appliqued blue mock necktie and chest pocket. It has a blue and white striped collar and long sleeves. The one-piece outfit has soft blue velour footed pants. It has a buttoned back closure and buttoned crotch for ease in dressing. This darling little outfit is the perfect winter take home outfit for your baby boy.